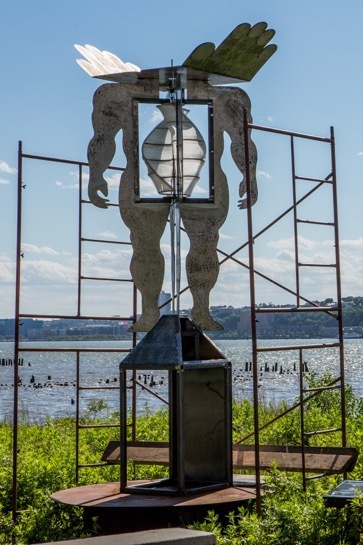 Seven Sculptors Show Their Work "In the Public Square"
New York City, June 10, 2016	(Newswire.com) - ​Seven emerging artists from the Art Students League will unveil their works in a public ceremony June 16 at Riverside Park South. 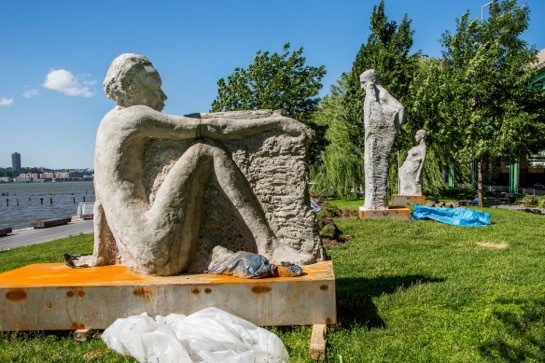 Their installations mark the sixth and final year at Riverside Park for the “Model to Monument” (M2M) program, which has installed nearly 50 monumental works in NYC parks since 2011. The Opening Ceremony is scheduled for 4:00 p.m. on June 16 in Riverside Park South, at approximately 61st Street. The works will be on display through May 2017. 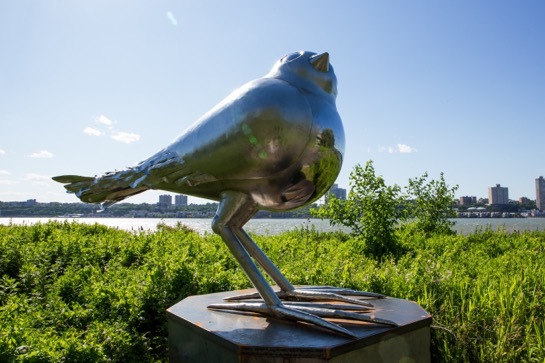 This year M2M sculptors are addressing the theme “Art in The Public Square,” with works exploring goodness, roots, perspective, nature in the city, and social cohesion. The artists are: Aaron Bell (Stand Tall, Stand Loud), Sheila Berger (AVIS GLORIAE ET LAVDIS MMXVI and Nature Eternal), James Emerson (Bridge), Tanda Francis (Everyone Breaks), Markus Rudolph Holtby (Leaves of Grass), Shiho Sato (Fragments) and Sarah Thompson Moore (Everything Between). Ms. Francis has recently attracted attention for her larger-than-life sculpture of the late rapper Biggie Smalls. Her work takes inspiration from 13th century Yoruban sculptures. Ms. Moore, from the Pennsylvania Academy of Fine Arts, is the first sculptor chosen for Model to Monument from outside the Art Students League. 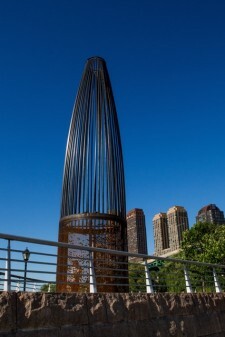 Her Everything Between seeks to heighten senses and alter perspectives for the viewer in the beautiful Hudson-side park. Using contemporary iconography within a classic pyramid, Mr. Emerson, just 25, seeks to promote and cultivate the “Goodness” that he sees as pervading humanity. Mr. Holtby’s Leaves of Grass considers Whitman’s classic text within the history of Riverside Park South as a re-purposed industrial park. Ms. Sato hopes that those who use the park regularly will develop an ongoing dialogue with the three monumental-scale human forms of her Fragments. Ms. Berger’s twin pieces in the park—and her work more generally--seek to shake us out of taking nature for granted, especially within our city environment. Model to Monument is the Art Students League’s premier professional development program for emerging artists under the direction of League instructor and internationally acclaimed sculptor Greg Wyatt (Peace Fountain at the Cathedral of St. John the Divine), working in partnership with NYC Parks. Since 2011, hundreds of thousands of New Yorkers and visitors have enjoyed these works. Year Six of M2M is supported in part by generous gifts from League members, including Ludmila Schwarzenberg Bidwell and Kathleen H. Seidel, and with public funds from the New York City Department of Cultural Affairs. 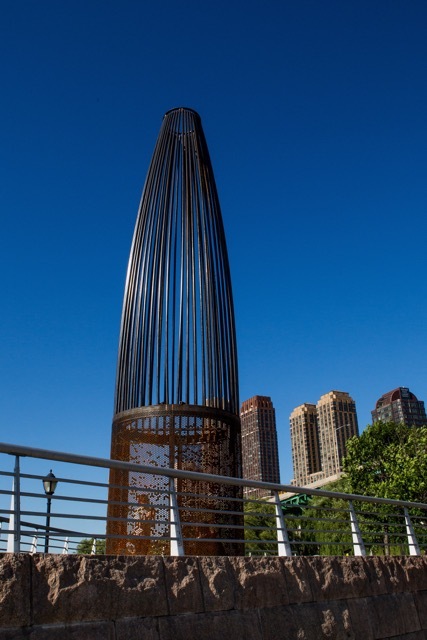 NYC Parks’ Art in the Parks program has consistently fostered the creation and installation of temporary public art in parks throughout the five boroughs. Since 1967, collaborations with arts organizations and artists have produced hundreds of public art projects in New York City parks. Model to Monument is the latest in a long list of distinguished artists and organizations to exhibit in parks. Previous exhibitions have included Ai Weiwei, Roxy Paine, Tom Otterness and Ursula von Rydingsvard. http://www.nyc.gov/parks/art.